The captain was quite happy about this. The new place offered a secret exit through a rock piece in the foundation. Inside in the cellar were some installations said to be of "Elven origin". 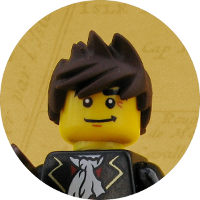 That was probably the fastest reply I ever got for a MOC. Very nice architecture here! The details throughout the building look great and good use of those claws as decorations! Good job on the rock-work and landscaping as well! A very nice looking build all around. I especially like the gargoyles (they are gargoyles, correct?) and other little decorations throughout. Great work! Yes, it is gargoyles, but I cannot take credit for them. 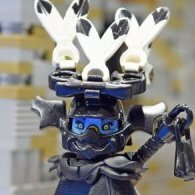 They have been imported from the Arkham Asylum as Garmadon has rightfully pointed out. Oh my, this is gorgeous! This has such a wonderful classic feel to it but with some seriously impressive architecture! 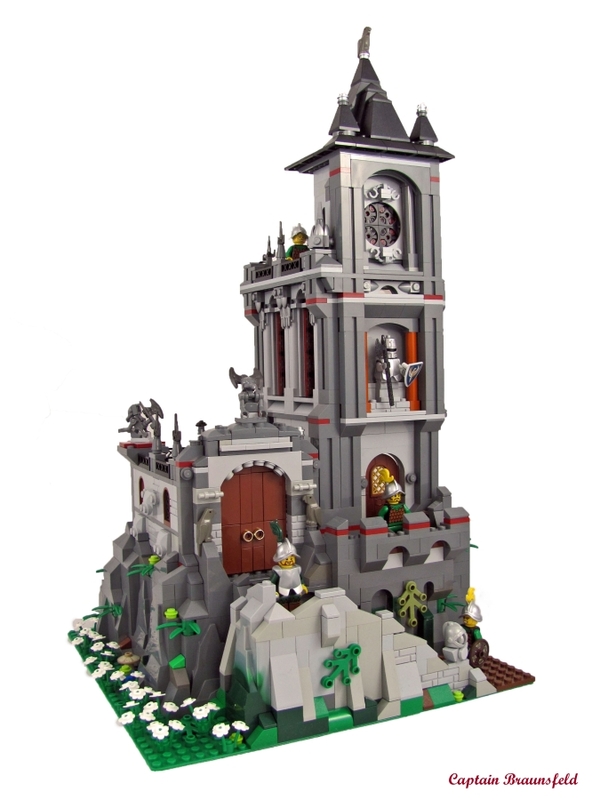 What an awesome MOC, and how refreshing it is to see a freebuild at this time! The rockwork and interior scenes look great, but the outside architecture is just top notch! 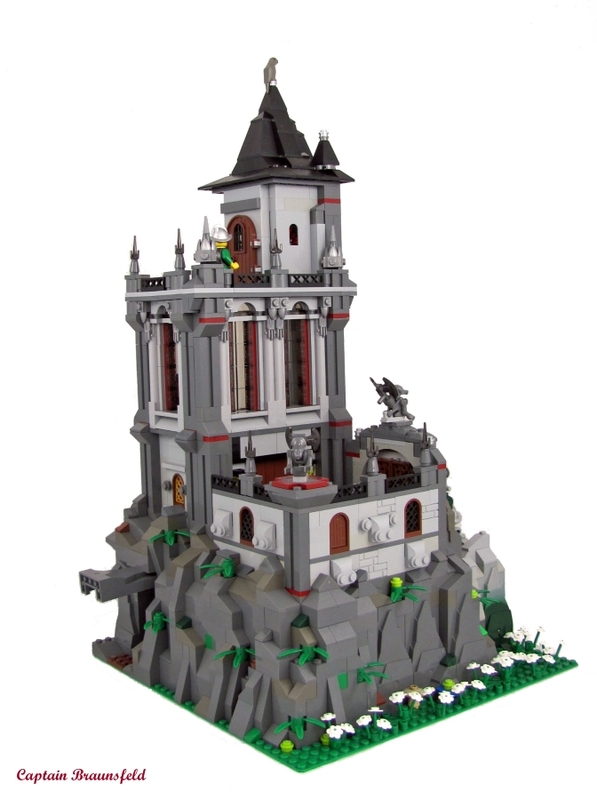 I know the worn, super-parts intensive castle building techniques ala Derfel Cardarn and CesBricks catches most of the attention these days, but I will always prefer the classic, elegant techniques that work so perfectly in your build. Really great stuff man, definitely my new favorite from you! Also, great photography! Very nice architecture! While tiling the interior would have helped a lot, it syill looks good. Very nice tower, though I echo others sentiments about the interior. Thanks, that is very supportive! ... decoration - I probably cannot take the credit, I am just using it. ... statue - ok, that is mine. 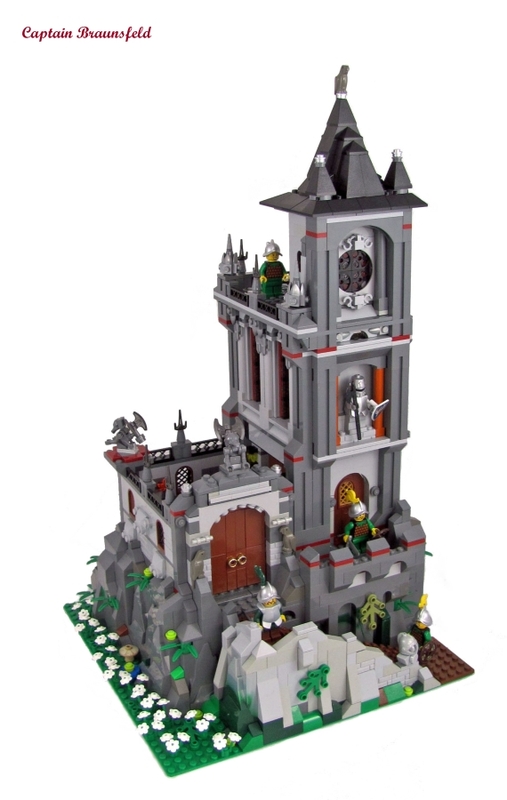 The story behind the MOC is that my children asked for a medieval "home" but they did not like the final result (maybe it was too dark). So, what I want to do now as I have turned my attention back on the MOC is to redesign it in a friendlier way and to add some interior (to show the city guard in their new home). Beautiful architecture on this! I love those minifigs as well, really nice use of the leather fish-scale armour! Nice architecture! The guard headquarters looks great! Wow! This is gorgeous! 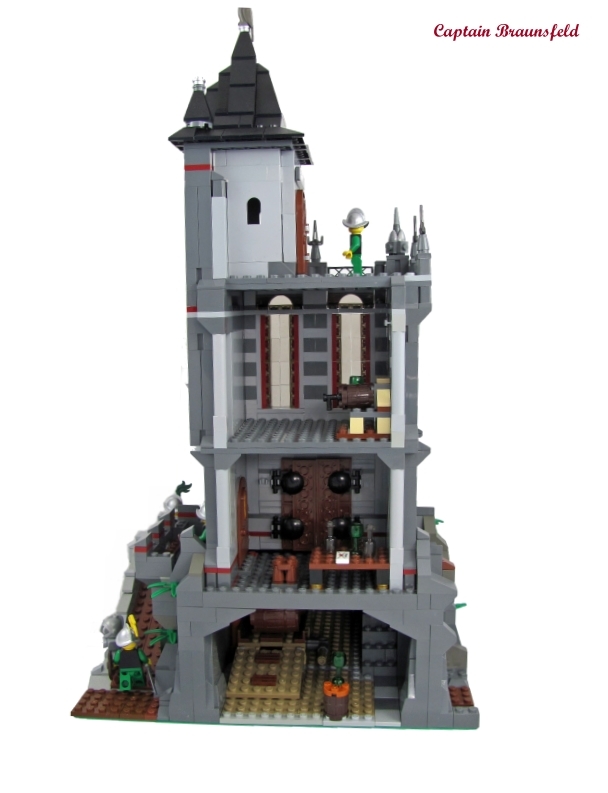 It's like you combined the Arkham Asylum set with GoH and this is what happened. I love it! "leather fish-scale" armour? Is that the official term?